Picking a name is easy right? Well if you follow some simple rules you can make sure the name you choose has a greater chance to be liked by someone else. So you may ask which method results in more sales? Well in my experience Im about 50/50 on sales between these methods and there seems to be no rhyme or reason behind a sale. Domains I thought would sell may never got offers and names that I purchased on impulse sometimes sell faster. So what are some guidelines to follow? 8. instinct – cant explain this but when im shopping I have a list of all the names I want and maybe that list is 20 or 50 names and after you walk away and come back to the list the ones that just jump off the list are the ones you pull the trigger on…in a list of 20 maybe 4 jump off the page..
No method is perfect but following these rules could help you pick a winner more often. With the introduction of all the new local TLD’s are the location based .com still worth what they were? Over 10 years ago in 2005 lasvegas.com sold for $12 million up front with monthly payments that could have taken the price as high as $90 million. But are those prices still valid now that there are so many local tlds available? However the .com Geos still generate a substantial amount of traffic and interest. Recently Josh Metnick, who buys and sells internet domain names has put Illinois.com on the market. These type of large cities do not get offered very often so we will be sure to watch how this progresses. At one point or another you may ask yourself if using a domain broker will help sell more domain names. Here are some things you should expect when hiring a domain broker. Brokers typically charge anywhere from 10% to 30% and the time to negotiate this rate is before you sign anything with the broker. If they ask for 30% ask for 15% if you don’t ask the answer is always no. Try Not to Be Exclusive – Brokers will try and say they want exclusive rights to the name while under contract meaning even if a sale came from the name directly they would still get a partial commission. A good broker will allow you to list without being exclusive to their firm. Don’t focus on low hanging fruit -Most brokers that contact me about my port want to cherry pick the one word .com or 4 letter names. Mainly the domains that get the most interest in offers each month. It would be nice to get some attention to the names that are still good but not obvious easy sales. Show me that you care about all my children not just the gifted ones. Visible promotion -Expect to see emails, tweets and posts going out about your names after an agreement is reached. Follow up- Even if you haven’t sold anything or received an offer check in every 3 months or so. Even if its to say- Hey I have sent out your list of names to my network but have not received any interest yet. Hoping to see some interest after the next push I do. Results – Look for broker results don’t just believe the hype. Have your broker send you an email when they sell a name (from any of their clients) and if they have not sold one of your names or at least received a few offers within 6 months to a year consider not repeating business with them again. Correct Valuation – If I want to sell a name like smartdrones.com for $250k make sure you are focusing on the correct domain keyword. A broker may say there has not been any comparable drone sales over $20k. However lets take smartphones.com for example and look for comparable phone sales may not go over $100k yet smartphones.com sold for much more than $100k. The correct valuation focus is on “smart” not “phones” or “drones”. If you own more than a handful of domain names, then you will need a system to help you manage and track important information regarding those domains. This Portfolio manager will allow you to have all this information in one page for your convenience. This tool is great if you need easy access to this type of information immediately. DNmin offers this service for up to 100 names. These are some of the tools available on the internet and there are software you can download to manage your portfolio. Those software will cost money like the one on Domain Punch. In late 2016, GoDaddy released an emoji search service at ❤️❤️❤️.ws. ❤️❤️❤️.ws was created to allow users to find and register emoji based domains. Currently .WS is the only Top Level Domain (TLD) that offers an emoji based domain and you can register yours right now. You are allowed to put up to three emoji into one domain name. The only drawback right now is that you are not allowed to mix and match characters and emojis due to the three character limit. These emoji based domain uses a system called “punycoding” where it will convert the emoji into a sequence which is why you see xn--qeiaa.ws instead of ❤️❤️❤️.ws in your address bar. This is GoDaddys attempt to get millennials into the domain business by allow them to register emoji domains. Emojis are one of the most popular forms of communication where individuals use to express emotion and it is universally understood by all. The future for this type of domain is unclear, but big companies like coca cola launched an emoji based domain campaign in 2015 which was http://www.😃.ws. 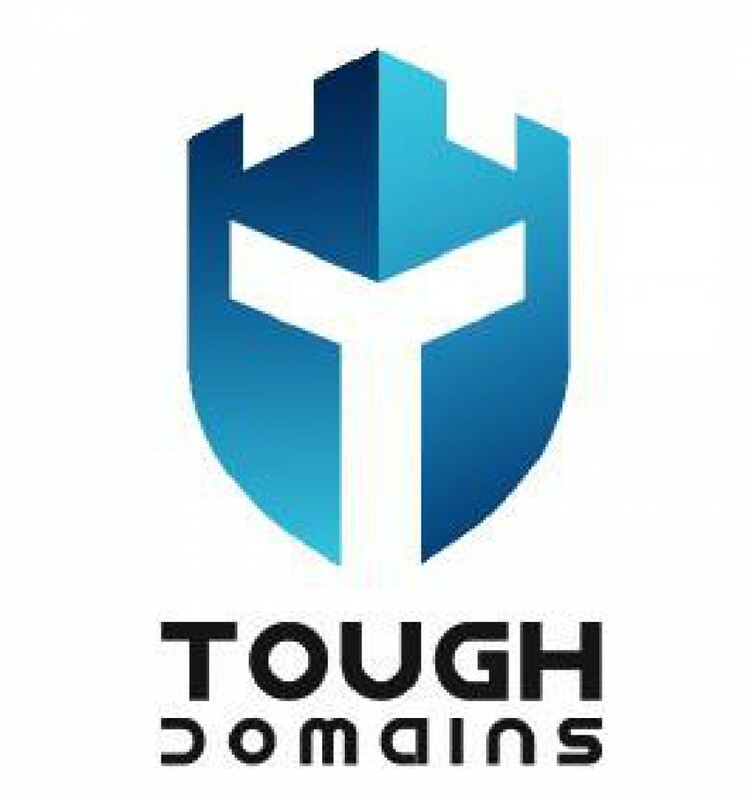 Tough Domains has developed an industry concept called “The Domain Cycle”. The domain cycle is a strategy that every domainer should follow when buying and selling domains. There are four major elements to the domain cycle and they include: Discover and Buying Domains, Managing You Domain Portfolio, Monetizing Domains, and ultimately Selling, Holding, or Dropping domains. There are multitude of ways discover great domains names. There are many domain name generators where you can get creative domain name ideas. You can use the name spinner or word generators to help you find the perfect name. Each generator will offer something slightly different. You can also hand reg names, check for expiring domains, purchase the domain from an auction or check domain directory listings. Many Domainers don’t realize that domains are a digital asset very much like a stock or real estate assets. With any asset, you will need to declare the asset in the end of the year for taxes. In order to do that, you need the buy/sell, and net profit/loss information associated with each domain. You can read about domains and taxes here. After a name is purchased, you are going to need a central location to organize and consolidate all your domain information. Often times, domains are purchased from different locations such as auctions and resulting domains hosted in many different registrars. You will need to manage your portfolio to verify where your domain is listed and when it will expire. There are traditional tools like a spreadsheet from google or excel, and programs like Domainpunch, which is a desktop software. There are also online domain management portfolio software that will back up your information on the cloud. 200 domain names at a $10 registration fee result in $2,000 in annual registration fees per year. Monetizing the domain is a great way to offset registration fees. Like all assets, everything has to turn a profit. You can choose to sell a domain for a price that satisfies you. You should continue to register domain names that you think will have a great return in the future. If the domain has low-interest or you think is low value, you should consider dropping it. The first major step in becoming an ICANN accredited registrar is to decide if you want to purchase an existing registrar or apply for ICANN accreditation. Buying an ICANN accredited registrar will most likely allow you to get your business up and running a lot faster than applying for the accreditation. The price of an accredited registrar is typically around $10,000. There might be other fees associated with buying a registrar like lawyer consultation fees. One major up side in buying an existing registrar is that you will start with clients. The business will also be up and running a lot quicker than it would be if you are applying for ICANN accreditation. Most registrars that are available for purchase will allow their clients to purchase .COM or .NET names, but not all of them will allow it. There are registrars out there that will not allow their users to register .COM or .NET, instead they offer other TLDs like .XYZ or .CLUB. This can be a pro or a con depending on what you plan to do with the registrar, so it is best to research the registrar you are planning to buy. Before buying an existing registrar, you should be aware of what contractual agreement the registrar currently has. You do not want to be buying into something that might limit what you plan to do with the company. When buying a registrar, you will have to notify ICANN of the change in ownership of the registrar. You will probably have to go through ICANN’s Registrar Accreditation Agreement (RAA). The other open is to apply for ICANN accreditation. One thing to note is about the application process is that it will cost $3,500 to apply. The major benefit from apply for an ICANN accreditation is that you will have no prior obligation from any contractual agreements. You can develop your own brand without any limitations like purchasing an existing company. One major issue with applying for ICANN accreditation is that it might take months before you can get your application processed. If you are in no rush in getting an ICANN accreditation, it might be better to apply for ICANN accreditation. While it can take months to get the application processed, you have more control of what you can do with the registrar. There will be no previous contractual obligations and you can ensure that it will not have any negative connotations attached to the brand. 1. The government froze .COMs prices in 2012 at $7.85 per domain name. Originally there was a price increase of 7% per year from 2007. VeriSign has a deal with ICANN for the .COM domains that originally allowed them to increase the price of the .COM domain registration by 7% per year. The U.S. government came in and froze the price at $7.85 in 2012. The contract was originally suppose to end at 2018, but VeriSign and ICANN renegotiated the contract to end at 2024. This article goes into more detail on the ICANN and VeriSign deal. This chart details the price increase for .COM domains with the original price of $6.00. 2. .NET prices did not increase every year until 2012 at 10%. The price of .Net domains did not increase consistently at 10% until 2012. Originally the price increase were more sporadic before 2012. With the upcoming price increase of .NET domain names in February 2017, we have created a list of all the price increase on .NET names going back to 2007. The original price of a .NET domain was $3.50 and the price of these domains have been increasing by 10% each year starting from 2012. The price of a domain in $4.65 in 2012 and it will cost $8.20 on February 2017. This article talks about the first price hike for .COM and .NET. The list of all the price increases from VeriSign over the years with .NET and a projection on what it will cost in 2024. 3. VeriSigns contract with ICANN for the .COM and .NET domains expire in 2024. This article goes more in-depth into the deal with VeriSign and ICANN. 4. If domains are 7.85? How does GoDaddy sell it for $.99? The answer? They can’t. GoDaddy is charging you $.99 cents for the first year and it is $14.99 the second year. You must buy a domain for 2 years for a total amount of $15.98. If you divide that by 2 years it is $7.99, still making a profit. Here is their actual disclaimer. * Plus ICANN fee of $0.18 per domain name per year. $0.99* price good for the first year of one new or transfer .com per customer. Additional years or .COMs may be purchased for $14.99* per year. Discounts cannot be used in conjunction with any other offer or promotion. Not all payment methods valid with this offer, acceptable payments will display in cart at checkout. Your discount will be applied in your shopping cart. After the initial purchase term, discounted products will renew at the then-current renewal rate. GoDaddy reserves the right to deny use of this offer and/or cancel domains purchased using this offer if the offer is abused or used fraudulently, as determined by GoDaddy in its sole discretion. Non-Human traffic (NHT) and Bot Traffic has been an issue for online advertisers as well as platforms that depend on these ads to generate revenue for a long time now. Anyone with stakes in online advertising should take a careful look at where their internet traffic is coming from. It is not just the individual paying for the ads that are losing out, the owner of the website can suffer losses as well. Bot traffic only boost the amount of views on a website, but it will not lead to any conversion for the ads. When advertisers are not making money from the ads, they are more likely to spend less on internet marketing and everyone loses in this situation. Another issue for online advertising is domain masking or URL masking. This is when another individual copies content from your website while having a similar domain name. Advertisers can be fooled into buying ad spaces on these fake site and it can hurt the reputation of the original site when they are not getting any feedback from the ads. These masked domains generally offer very little engagement or views for the ads. This will hurt your chances of getting advertisers to advertise on your website based on past experiences from phony sites. 11% of display ads and 25% of video ads are viewed by software and not people. 36% of views online is automated and are not viewed by actual people. Advertisers can lose up to 7.2 billion dollars globally in 2016. One solution to non-human traffic or bot traffic is to show the advertiser you have an engaged community on your website. It is important to have interaction between users on your website to show that people are coming into the website on a daily basis. Non-human traffic will cause your website to have a low interaction with the ad for the size of your community. The low response rate will create a poor reputation for advertising on your website and will lead to less money coming in. Another option is to block traffic from these malicious IPs to stop the inflation of views on your website. Every dollar that goes into phony traffic or online advertising fraud is a dollar that could be going to you. You have to constantly monitor the type of traffic coming into your website and ensure that there are no URL masking going on with your website. It does not take a lot of time or effort to login and check what type of traffic is coming into your website. By doing so, it will allow the advertisers to buy targeted ads to a specific audience with the guaranteed that they are getting the best for their money.